The new Cee'd, Kia's best-selling model in Europe, is an important launch for the brand. The Cee'd five-door is shown at the Geneva auto show in March. Kia is confident that new products will help the it meet its aggressive sales target in Europe despite the region's economic troubles. The brand's model renewal, which began with the new Sportage SUV in 2010, will be completed by a new minivan set to go on sale next year, Paul Philpott, Kia Europe's Chief Operating Officer, told Automotive News Europe. "We will launch a five-seat and seven-seat compact minivan that will replace both the Carens and Carnival," Philpott said, without giving further details of the model. Kia aims to boost sales in its 25 European markets by 21 percent to 350,000 vehicles this year, after a 11 percent rise in 2011, with its market share rising to 2.7 percent, up from 2.2 percent last year. Philpott said Kia Europe aims to reach annual sales of 400,000 by 2013, equivalent to 3.1 percent market share. 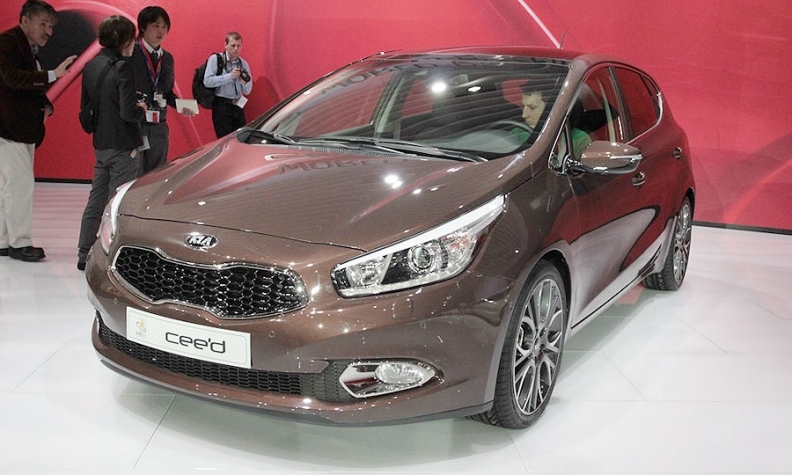 A key launch for Kia in Europe this year is the Cee'd compact range. The new Cee'd five-door arrives in showrooms this month, followed in September by a wagon version that debuted at the Geneva auto show in March. At the Paris show in September, Kia will unveil the sporty Procee'd three-door, which completes Kia range in Europe's second largest segment by sales volume, Philpott said. Philpott will head Kia's UK operations starting July 1. This story is from Automotive News Europe's new Global Monthly publication. The issue contains a collection of the month's top international stories, along with expert analysis and data such as European sales by model from JATO Dynamics. The Global Monthly is published in PDF form and it can be customized. downloaded and read from a desktop computer, tablet or e-reader. Last year, compact car sales in Europe were flat at 3.04 million. Sales of the Cee'd, Kia's best-seller in Europe, declined by 21.6 percent to 73,716 units, according JATO Dynamics market researchers. Philpott said the rapid transformation of the brand's product range, and the seven-year warranty that Kia offers new customers, will continue to drive growth. New models such as the Picanto minicar, the Rio subcompact and Sportage are lowering the average age of Kia's customers globally to 52 from 56 two years ago. The average age of the European buyer is 49, according to the New Car Buyers Survey, an auto industry financed, pan-European study, Philpott said. Europe is contributing to Kia's global growth. Last year, the brand's global sales grew by 19 percent to an all-time high of 2.5 million. The company expects this momentum to continue in 2012, targeting a further 9.5 percent growth in worldwide sales to over 2.7 million. Philpott, 45, will become CEO of the automaker's UK and Ireland unit effective July 1. 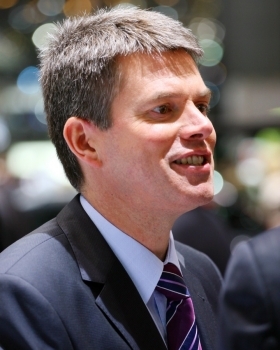 Kia said the move is a promotion as Philpott will be the first non-Korean head of any Kia subsidiary in Europe. The appointment is part of the carmaker's plans to devolve responsibility to local regions. The UK is the brand's biggest European market. Kia aims to double annual vehicle sales in the country to 100,000 within five years. Philpott became chief operating officer of Kia Motors Europe in 2009, following two years as managing director of Kia in his native UK.